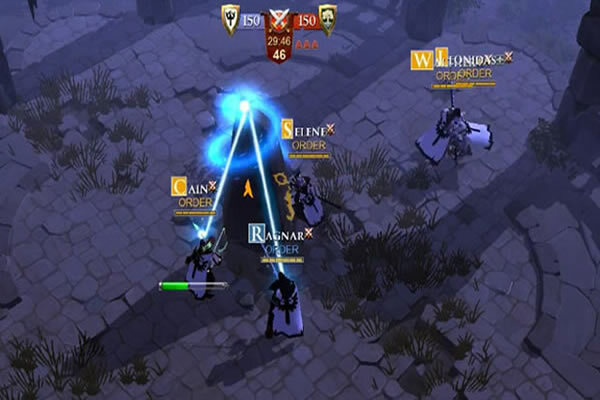 Albion Online the new content update, Kador for the MMORPG Albion online is not far off, in accordance to the developers, they have made a decision, which is a bit more detail to tell you about some of the changes. Currently, depending on the zone and the enemy with whom you are facing, you either lose consciousness or die immediately. Killing your character can lead to problems in the group, because the rest of the squad will be more difficult to cope with the threat, if one member of the group to die and be reborn in the city. Perhaps it will cause even cancel the operation or raid. So now, instead of being killed, when your character's hit points run out, first he would lose consciousness. When a character is unconscious, you can not take any active steps - just enjoy the new visual effects for the knockdown. With your health points, and it's regenerated extremely slowly, hence, you will need to wait for the right moment, assumption that your team members to win the battle, they will put you on your feet with a special spell. Of course, you can also get up yourself, if your hit points are restored completely.